A woman artist's affair with a younger man jeopardises her marriage, her career and her child's future. He personifies the nihilistic philosophy of Albert Marcuse and tries to manipulate her. Her dependence on him forces her to reassess all the values of her art and life. We observe these events at three levels; a woman writer uses them as the basis of a play and in the process reveals parallels in her own experience. 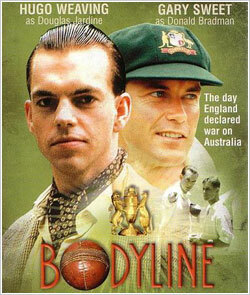 Bodyline is the dramatic story of one of the momentous sporting events of this century. Into a Depression-racked Australia in late 1932, a young English gentleman, Douglas Jardine, led a team of cricketers on a mission to win back the Ashes. Newly appointed captain of the English team, Jardine had come to believe that the success of that mission depended on beating one man—a brilliant young Australian batsman called Donald Bradman. His strategy would be to employ tactics never before used in a game between gentlemen. His major weapon would be a speed bowler by the name of Harold Larwood. In the wake of the great California gold rush of 1849, miners the world over scrambled to Australia in search of the next big find. Ballarat, Victoria became the focal point for the miners' efforts, and in an effort to control migration and raise government revenues, Britain established strict guidelines, requiring miners to pay for special licences. Inspired by the general discontent felt by the many miners, Irishman Peter Lalor and his mining partner, Timothy Hayes establish a protest group to represent the miners' grievances and help combat the thugs employed by the gold commission under government orders. Supported by a strong team of diggers, including Catholic priest Father Smythe and Canadian Charles Ross, the miners take a stand against the establishment, united under the flag of the Southern Cross to fight for their rights and liberty. Two Perth brothers penetrated one of Australia's most brilliant and ingenious con tricks by having the Perth mint deliver them gold bullion worth $650,000. The perfect crime... but for one fatal flaw. 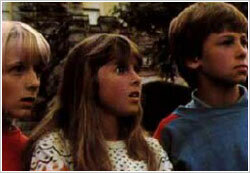 Spider takes his friends Ben and Kate across the harbour to a deserted old mansion, 'Castle House'. Adventure turns into mystery when two other boys disappear in front of their eyes in the overgrown grounds of the old house. Jamie and his sister, Jemma, fend for themselves in 19th-century Australia with their father away on business. Forces of tragedy and justice are dramatically intertwined in this irresistible tale of adventure. The setting is the gritty, dangerous British colony of Sydney, Australia. The time is the early 1800s. Evil Captain Corkle and his military redcoats, the corrupt rulers of this farflung outpost, are succeeding in their goal to grab victoria farm illegally. The true owner, Jamie McLeod, has just lost his father to a raging fever. The only way he can regain his appointed birthright is to find the missing half of a map pinpointing the hiding place of his father's will. Meanwhile, Jamie and his sister, Jemma, are hiding from Corkle. But how long will their freedom last? 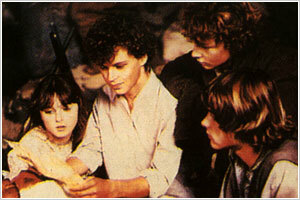 During a mad dash to safety, Marceau steers Jamie and Jemma toward a mysterious, torn map. The quest is not yet lost! 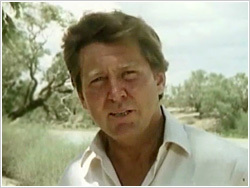 Henrik the Dutchman tries to help the McLeod children find the fabled Lost Lode gold mine in 19th-century Australia. Feisty siblings Jamie and Jemma McLeod fend for themselves and outwit villains in 19th-century Australia. In the glittering world of high fashion, beauty is only Skin deep! Barbara Kennedy is a successful business woman in the fashion and modelling industry. In the lead up to the Annual Fashion Designers Awards night, her boyfriend finally proposes to her. But everything else is not going well. On the evening of the awards, Barbara realises that one of her own models is her illegitimate daughter, given up for adoption year's earlier. Worse than this she is about to walk into the hands of a murderer. In 1928, there is the spectre of the Great Depression, increasingly rancorous class divisions, industrial disputes and rising unemployment. As the politicians watch for the most opportune moments to call and win an election, waterside workers around the country strike. Eventually, all except those in Melbourne return to work, the strike broken by the bosses' employment of unwitting Italian labourers, who, like the Australian workers, are hungry for work. As the Melbourne wharfies continue to strike, too innocent and eager to consider that their struggle might be used as a pawn in a bigger, more sinister game, the issues of racism and survival are brought to the fore. 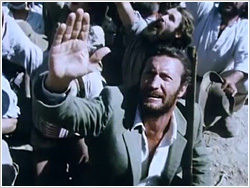 Among this complex analysis of race and class are a wharfie, Maxey Woodbury (Jack Thompson) and an upper-class Italian migrant Anna Chieri (Greta Scacchi), whose roles encapsulate the situation at large.